RoomRaider SG is a service provider of Real-Life Escape Room Games, with a total of 6 themed rooms. 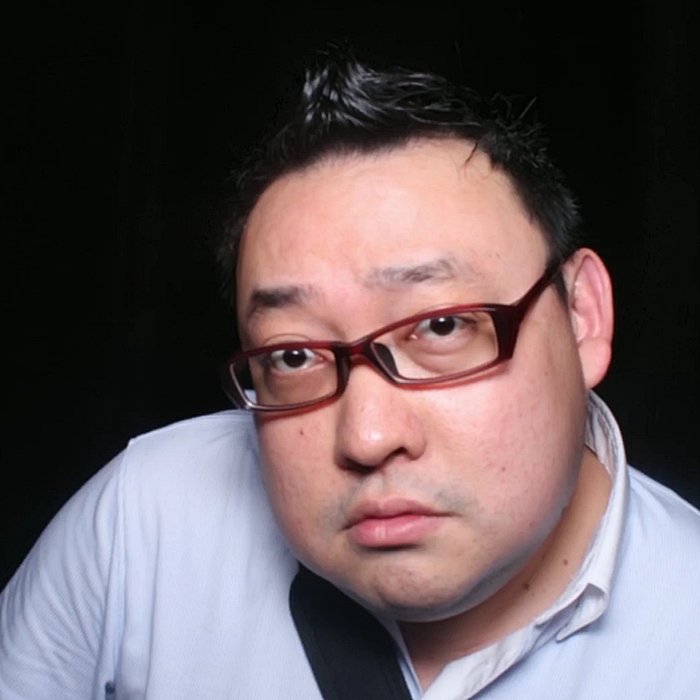 Promising an immersive sensory (visual, tactile, auditory) experience, RoomRaider SG opened in Singapore in December 2013. Their rooms are ingeniously designed, created with a team of special effects set designers, sound engineers, and puzzle masters. RoomRaider SG allows a total of 45 minutes of playing time within the rooms, with a further 10 minutes of miscellaneous time for briefings, phototaking, storing personal items, or waiting. Briefings are carried out by staff face to face, and they provide the background and story of the room you've selected. No hints are given at the beginning of the game, though the briefings are comprehensive, they're mostly safety related. Recommended team size for each room is between 4 - 8 people. Rates at RoomRaider SG is SGD $28 per person during peak periods, and SGD $22 during off-peak periods, marginally more expensive than elsewhere. While RoomRaider SG provides lockers for storing of personal items, the lockers themselves are rather small. The game rooms are immersive, really getting you into the story and setting, with tricky room design and layouts, alternate light and darkness, and use of high technology including lasers, radio signals, magnets, and even the use of props that change with temperature! They don't have staff dressed as ghosts within the rooms, which means they're family-friendly! 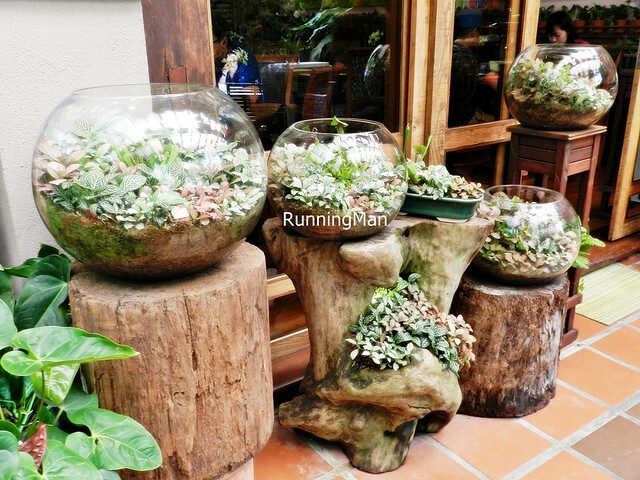 Staff at RoomRaider SG are efficient and helpful, but even asking for hints is discouraged. This leads to teams being heavily self-reliant, and also adds to the mood by creating more pressure. We held our corporate event at RoomRaider SG, and coordinating with staff is hassle-free, though I find it odd that they only accept payment through cash, NETS, or direct bank transfer. Staff initally overcharged me, but when I spotted the problem and told them, they were quick to rectify this. Overall, had a good experience at RoomRaider SG! 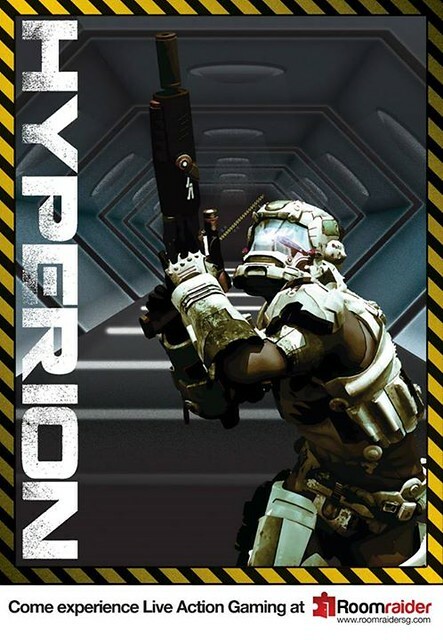 Hyperion is a futuristic sci-fi / space themed room, which puts your team in the shoes of a space ranger, racing against time to evacuate an energy source from the moon base. It requires teamwork, active observational skills, attentive listening, logical deduction, and lateral thinking, to solve the puzzles within 45 minutes. 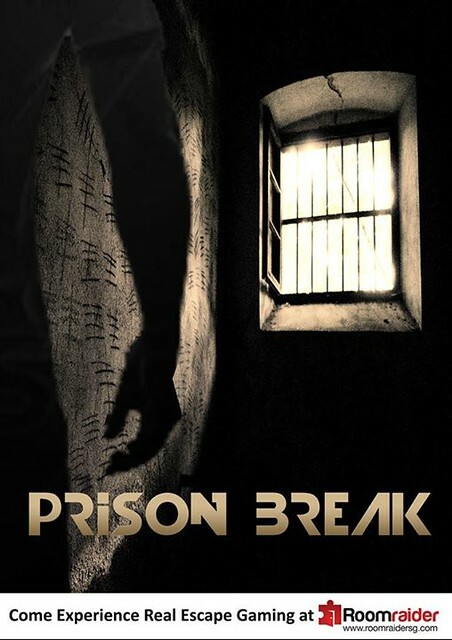 Prison Break is a jail and espionage themed room, where your team of spies must break out from a maximum security prison, and is possibly the most difficult room here. It requires teamwork, some physical movement, lots of lateral thinking, logical deduction, analytical reasoning, observational skills, patience, and persistence, to solve the puzzles within 45 minutes. 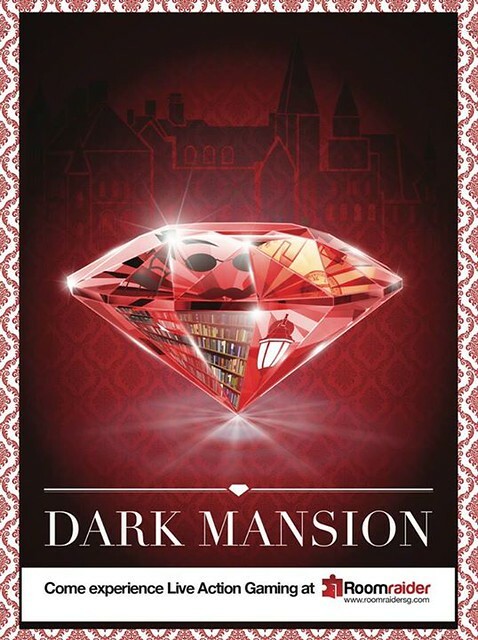 Dark Mansion is a jewel heist themed room, which puts your team of jewel thieves in a neo-classical European mansion, seeking to steal valuables. It is the most intellectually demanding of all the rooms here, whose puzzles require teamwork, lateral thinking, several leaps in logical deduction, and analytical reasoning. Where's Cuddles is a playful, whimsical themed room, transporting you team to a fantasy land filled with teddy bears. This magical environment is possibly the easiest room here, and the most suitable for younger players / children. It requires teamwork, observational skills, and logical deduction. S.W.A.T. 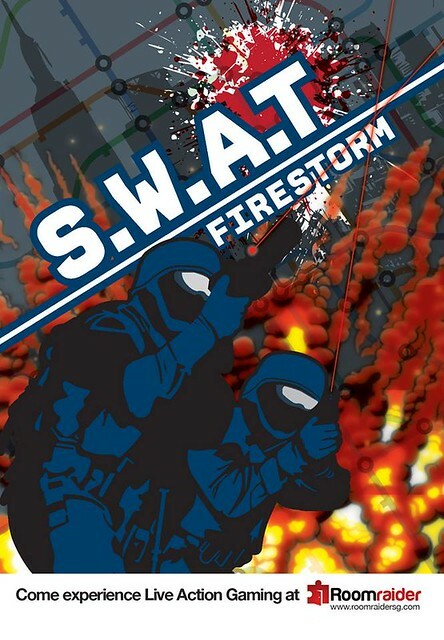 Firestorm is a police / counter-terrorist themed room, where your team of police officers race against time to find and defuse a bomb, and save the city. This high stakes room is the most intentionally stressful / emotionally challenging, where players have to work together while remaining calm under pressure. It requires teamwork, observational skills, basic arithmetic skills, lateral thinking, and logical deduction, to solve the puzzles within 45 minutes. 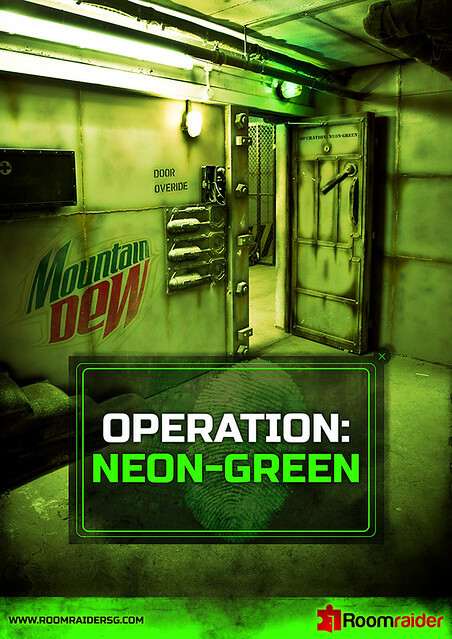 Operation Neon-Green is a special operations / war themed room, sponsored by Mountain Dew, where players have to infiltrate a command bunker, gather field intelligence, and escape. Among the more difficult rooms here, it starts out easy, but quickly becomes tougher and tougher as each puzzle is solved. It requires teamwork, acute observational skills, complex arithmetic skills, logical deduction, and analytical reasoning. The 11th largest city in the world, Dhaka is the capital of Bangladesh, and the former seat of power for both the Mughal empire and the British. 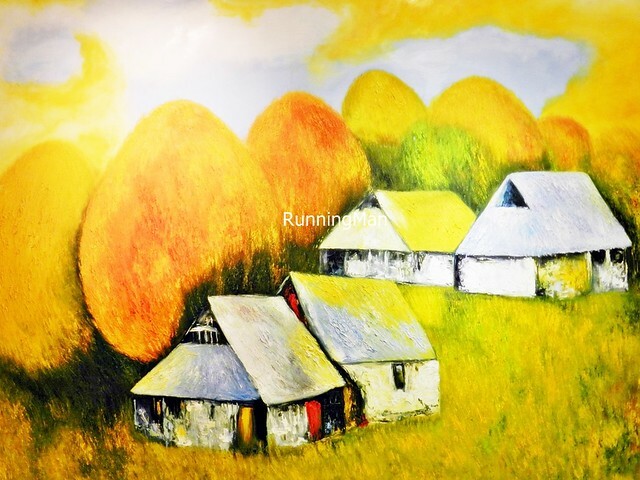 Also known as the 'Rickshaw capital of the world', Dhaka is the center of political, economic, and cultural life in Bangladesh, and with its long history, has many attractions, both traditional and modern. 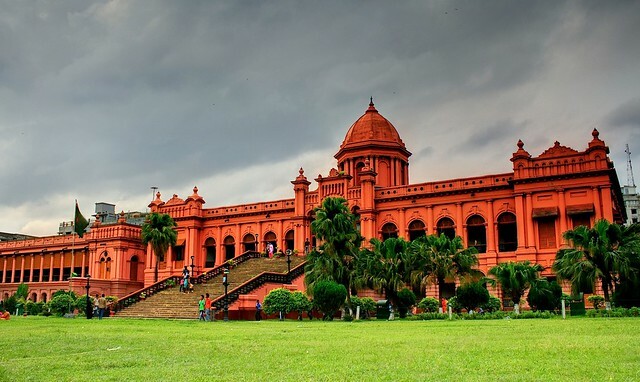 Here are the Top 5 Tourist Attractions to visit in Dhaka, all of which hold important cultural or historical significance. All these are permanent locations which can be visited and viewed at any time throughout the year. Located along the Buriganga River, the Ahsan Manzil was official residential palace of the Dhaka Nawab Family. Famous for its pink stonework, and its huge dome which can be seen from miles around, the building is one of the most significant architectural monuments of Bangladesh. It has since been converted into a museum, with 23 galleries in 31 rooms showcasing the lifestyle of the nawabs, including portraits, furniture, household items, and a beautiful garden. 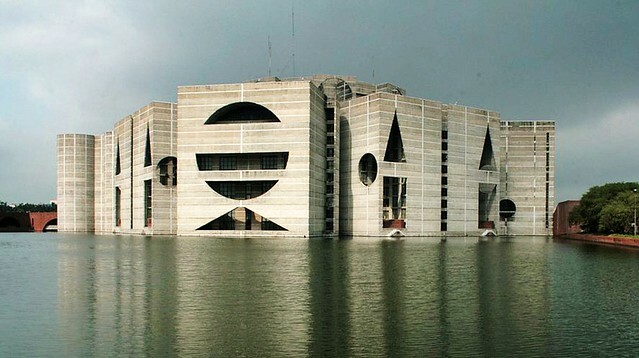 The Jatiyo Sangsad Bhaban / National Parliament House is the official meeting place of the Parliament of Bangladesh in Dhaka city. Designed by architect Louis Kahn, the complex is among the world's largest, spanning 800,000m², and has been described as among the 20th century's most significant buildings. The visually striking, geometric buildings aren't open to public, but the grounds surrounding them are open for public use, which include Crescent Lake and Chandrima Uddan park. Built in 1678 AD, Lalbagh Fort, also known as Fort Aurangabad, is an incomplete 17th century Mughal fort complex in south-west Dhaka, comprising 3 buildings, the Diwan-I-Aam palace, Mohammed Mirdha’s Mosque, and the tomb of Pari-Bibi. The site saw many battles, amongst them skirmishes during the Bangladesh Liberation War. It has since been converted into a museum, with the Diwan-I-Aam palace housing a small but excellent collection of Mughal miniature paintings, carpets, calligraphy, coins, and weapons. 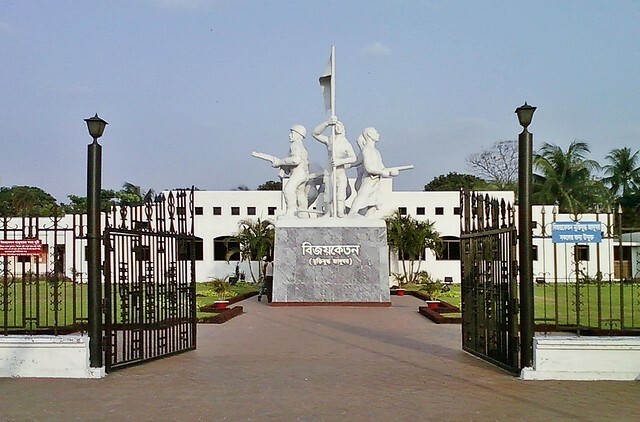 The Liberation War Museum in Dhaka commemorates the battles that led to Bangladesh obtaining its independence. The large collection of over 10,000 artifacts, including photographs, documents, weapons, and more, housed in 6 galleries, showcases the struggles of the freedom fighters during the 9 month Liberation War of 1971. Housed in a beautiful whitewashed colonial-era building, several of the exhibits are rather graphic, depicting the plight of war. 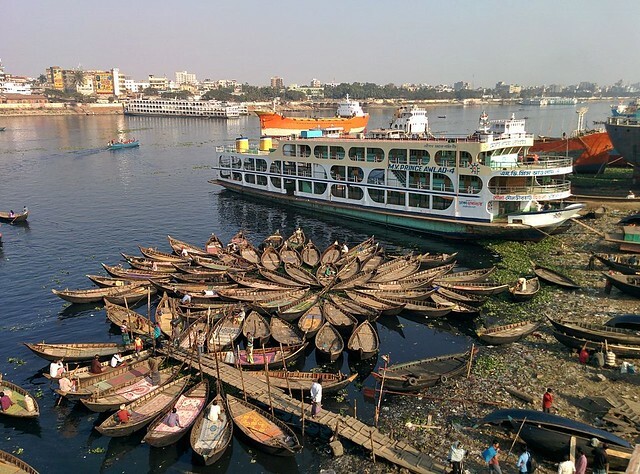 Among the largest river ports in Bangladesh and throughout the world, the Sadarghat Boat Terminal on the banks of the Buriganga River in Dhaka is a dynamic place buzzing with constant activity. 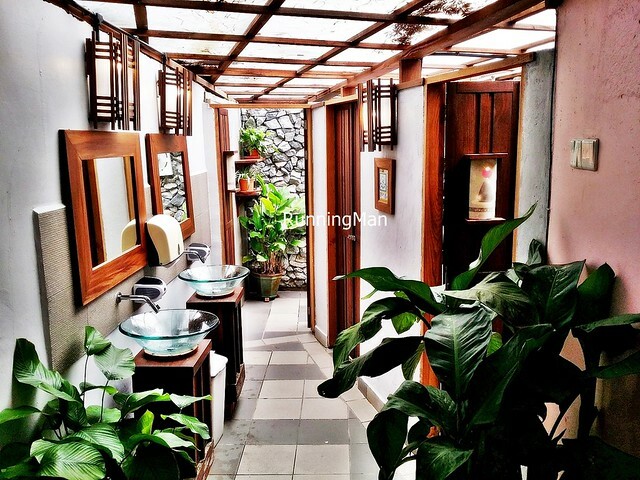 While not the most tourist friendly location (it's crowded and polluted in most parts), it is the buzzing heart of the city, filled with life, and a boat ride out to the calmer waters is among the more popular activities. Dhaka Street Food is part of the Bengali cuisine in Bangladesh. Noted for its subtle, yet sometimes fiery flavours, Bengali cuisine has an emphasis on ingredients such as fish, lentils, and rice. 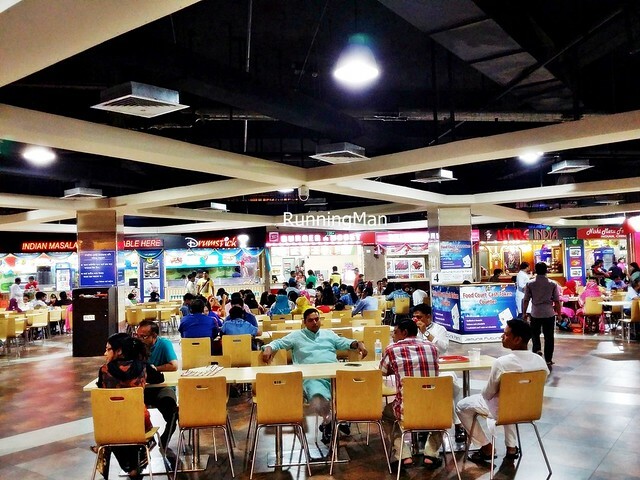 Besides a large influence from West Indian cuisine and South Indian cuisine, Dhaka Street Food in Bangladesh is also heavily influenced by British cuisine, Chinese cuisine, and Turkish cuisine. 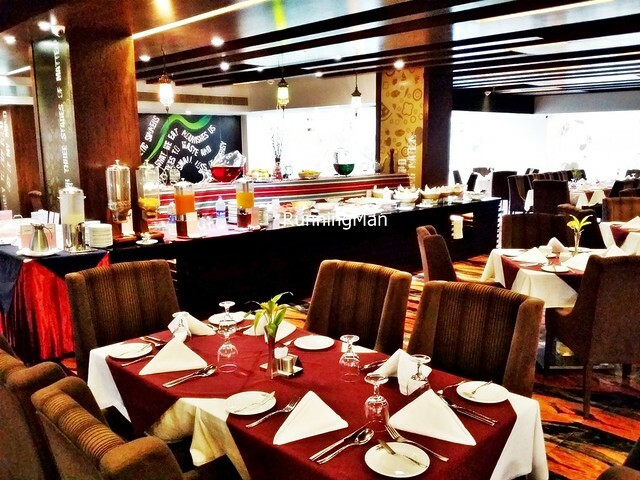 Food in Dhaka can be found along the streets in pushcarts, in kiosks, in small cafes, in mid-range restaurants, and fine-dining establishments. Street side stalls and kiosks are plentiful, but not particularly hygienic, and should be avoided in general. The cuisine of Bangladesh / Bengali cuisine features freshwater fish and agricultural ingredients prominently. 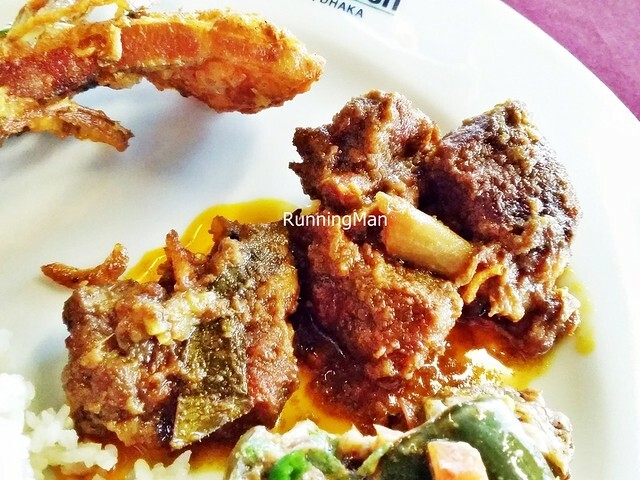 Common ingredients used in many Dhaka dishes include beef, chicken, fish, mutton, goat, rice, wheat, prawns, shrimp, crab, lentils, onions, celery, mustard, tomatoes, ginger, bitter gourd, eggplant / aubergine, potatoes, spices, milk and more. 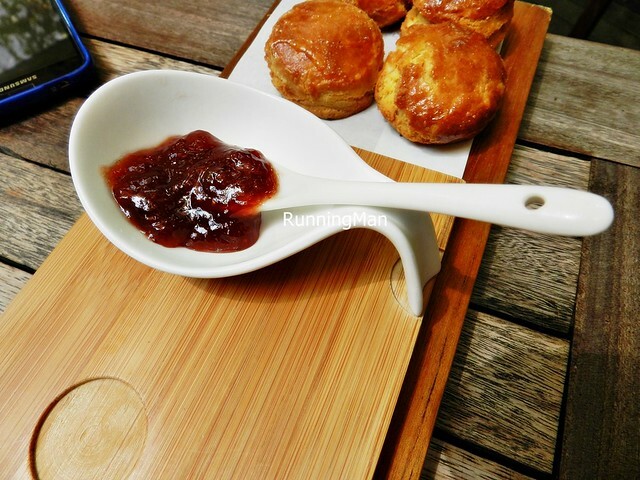 Bengali cuisine is also noted for its use of unique cooking tools, such as the boti, a curved blade attached to a platform, operated by foot. A typical meal of Dhaka Street Food is usually a one-dish affair, though the traditional method of serving dishes in Bangladesh is multiple courses, served one at a time in order, which is still practised in traditional ceremonies or when eating with family. 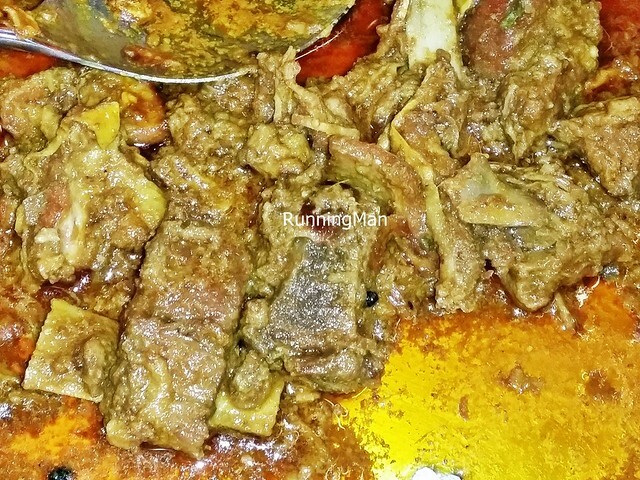 Beef Bhuna is a popular dish amongst the Muslim community of Dhaka, Bangladesh. 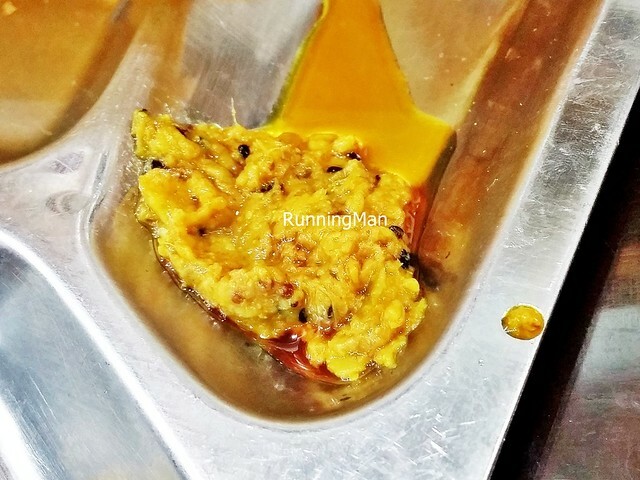 It's made by stewing chunks of beef in a spice mixture of onions, ginger, garlic, salt, powdered cumin, powedered corainder, powdered turmeric, powdered cardamom, pepper, chili, tomatoes, lemon juice, tamarind juice, cloves, cinnamon sticks, bay leaves, and garnished with coriander leaves. It's considered a wet curry dish, often served with rice or bread. Beer isn't common here, and the available beers tend to be light. 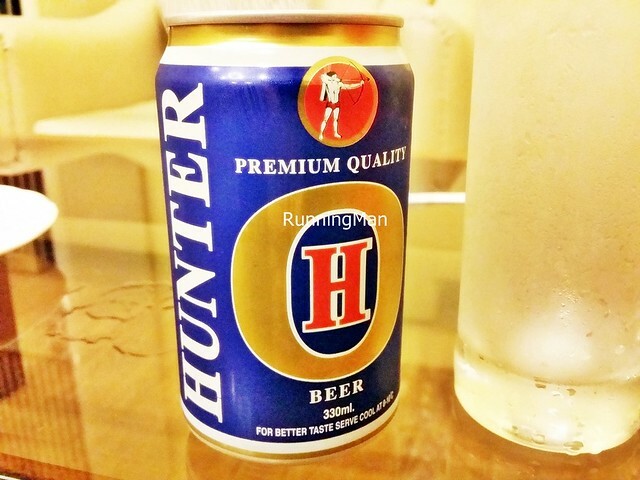 Beer Hunter is a pale golden lager, with a slight zesty citrus taste and a light, white foam head. Inoffensive but terribly light, also, the brand looks like they copied it off a more famous Australian beer brand commonly drunk in the United Kingdom... namely, Foster's Beer. 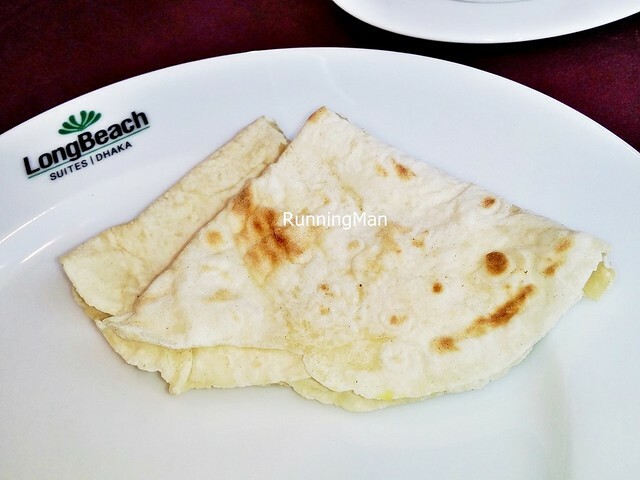 The Chapati in Bangladesh is similar to those served in Singapore, or in India. It's normally eaten as a staple, along with other dishes, in particular, dry curry or wet curry. 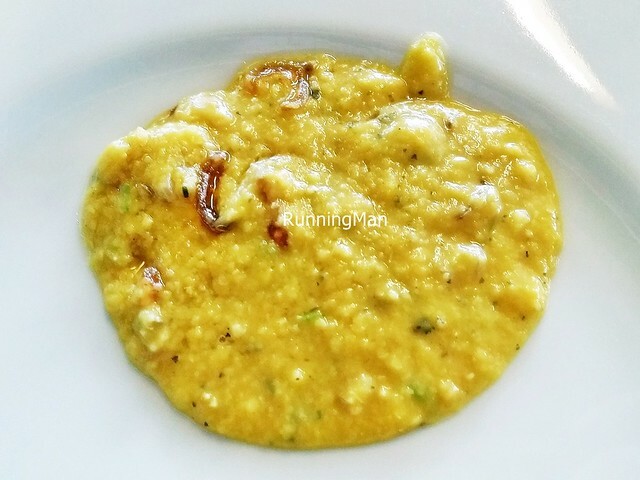 The incredibly sinful, decadent, yet addictive Dhal Butter Fry is made with yellow lentils, tomatoes, onions, powdered cumin, butter, ginger, powdered turmeric, salt, and garlic, then garnised with coriander leaves. Super unhealthy, but so tasty I couldn't stop eating it! 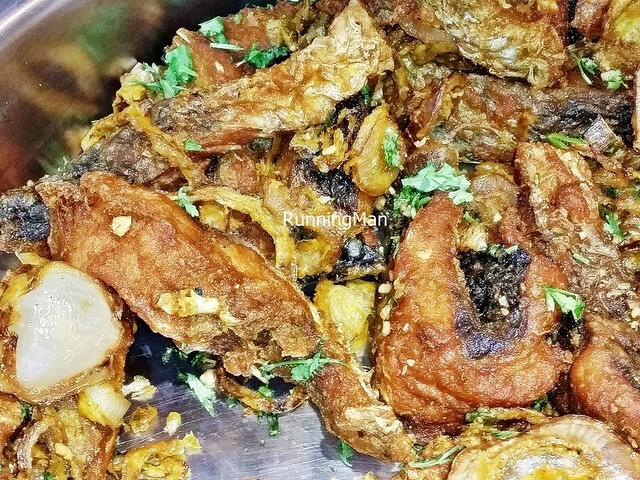 The Fried Rohu Fish features a freshwater fish known as Rohu, a firm, white flesh fish, with many small bones, which is commonly found in Dhaka, Bangladesh. 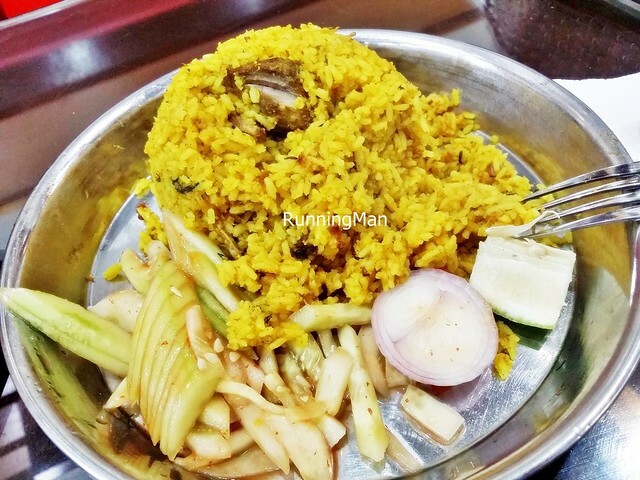 This dish is made with fillets of rohu fish, ginger, onions, powdered turmeric, powdered cumin, powdered coriander, chili, cloves, cinnamon sticks, bay leaves, pepper, salt, rice flour, lemon juice, and garlic. A sour Mango Pickle, served as part of a set meal here. It's made with green / unripe mangoes, fenugreek seeds, fennel seeds, mustard seeds, nigella seeds, and mustard oil. 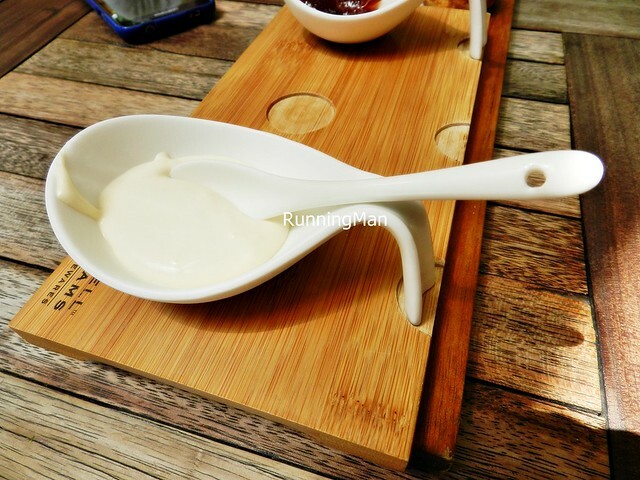 The Yoghurt Plain from Bangladesh is served as part of a meal, just like in Singapore or in India. It's almost like a condiment here, paired with each mouthful of food. A typical Vegetable Bhaji here may feature a variety of different vegetables, though common ones such as potatoes, carrots, celery, cauliflower, and / or onions are normally used. 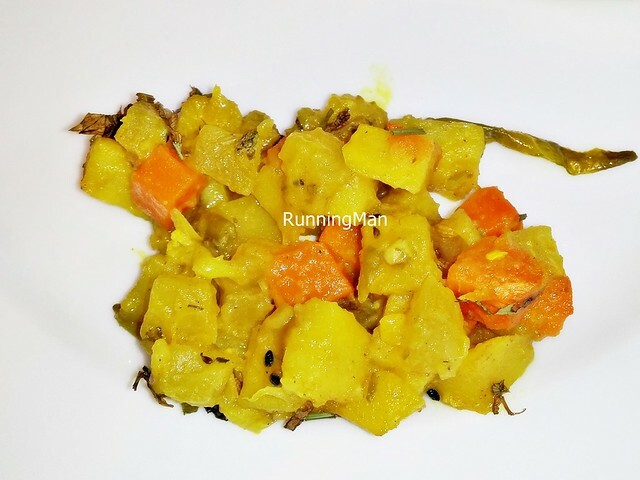 The vegetables are cooked in a spice mixture of bay leaves, garlic, powdered cumin, mustard seeds, chili, curry powder, and garnished with cilantro leaves. It's considered a dry curry dish, eaten along with rice or bread. 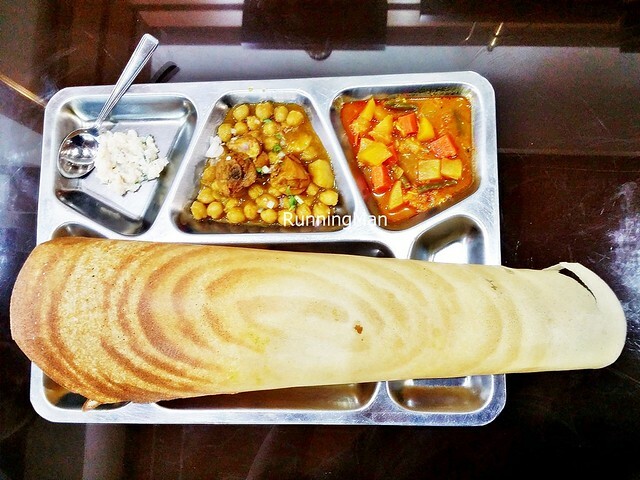 The Thosai is Bangladesh is similar to those served in both Singapore and India, the difference is the other side dishes it's paired with. 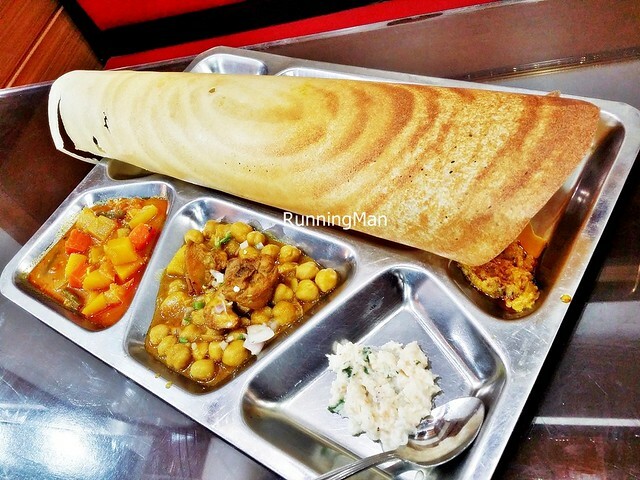 For a Thosai Chicken Masala set meal, the large, crisp Thosai is served with chunks of chicken masala, chana masala, mango pickle, yoghurt plain, and a coconut chutney. 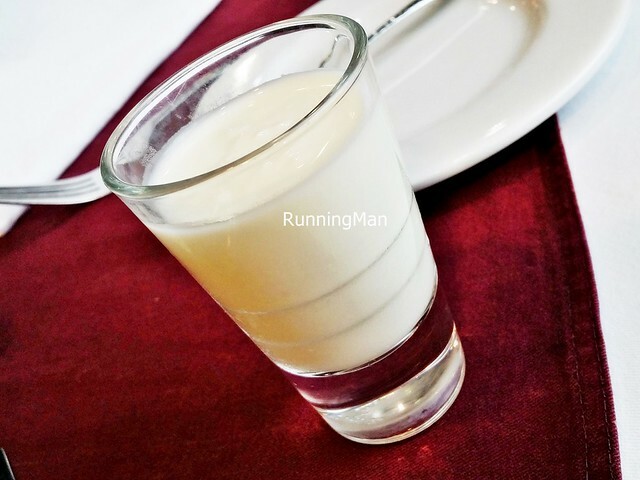 Payesh is a popular Bengali dessert, similar to the Rice Kheer served in North India, or the Pal Payasam served in South India. 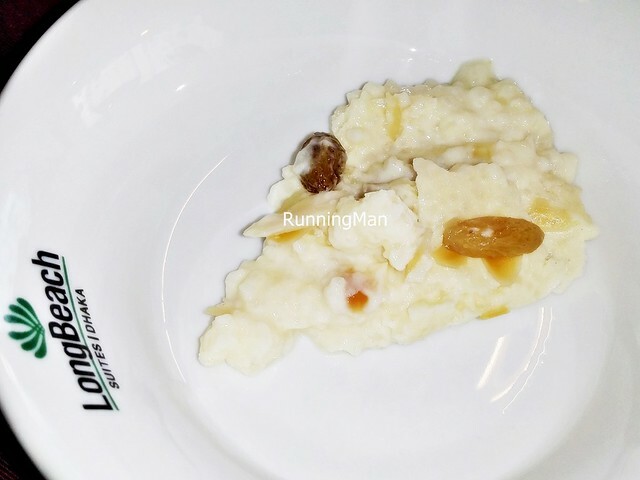 It's made with boiled rice, milk, and sugar, flavoured with cardamom, raisins, saffron, cashew nuts, pistachios, and / or almonds. 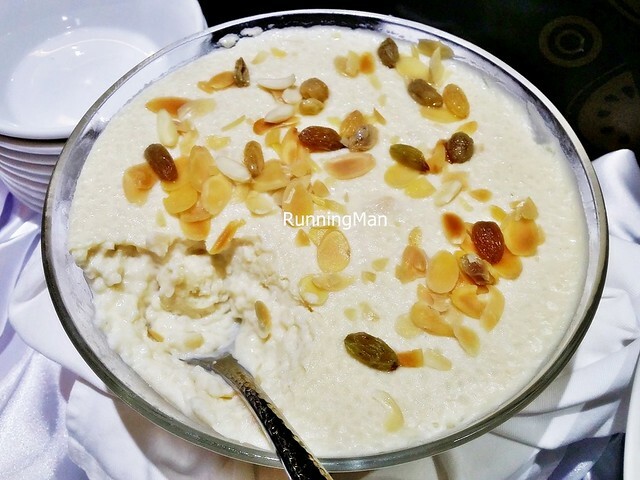 The difference is that Payesh is creamier but less sweet than either Kheer or Payasam. In Dhaka and throughout Bangladesh, this is considered an auspicious food, usually associated with birthday celebrations. 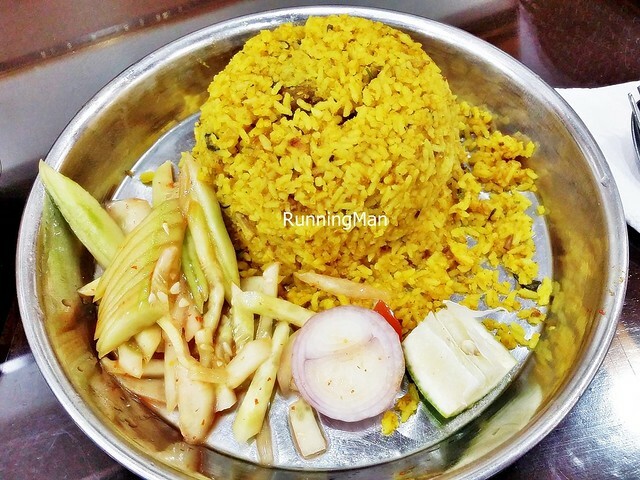 The Hospose Khichuri is a gourmet delicacy, usually reserved for religious ceremonies, or served on rainy days. 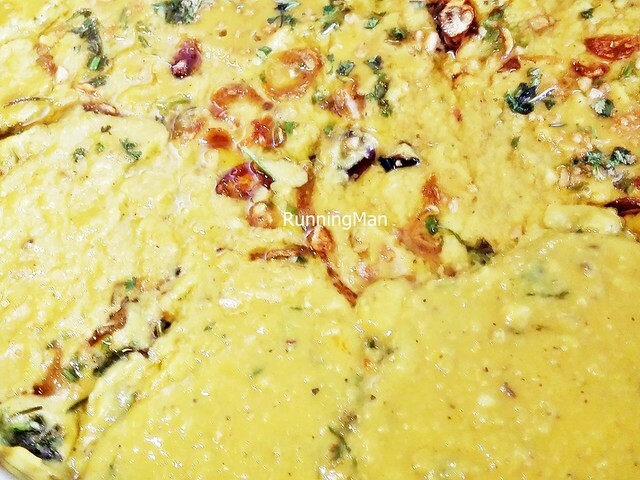 Known in India as Khichdi, it's made with short grain rice, lentils / mung beans, ghee / clarified butter, onions, garlic, powdered turmeric, powdered cumin, cloves, cinnamon sticks, bay leaves, ginger, salt, and lot of chili. Tender, boneless chunks of chicken, beef, or mutton are stuffed within, and it's served with vegetables (eggplant / aubergine, cucumbers, celery) on the side. 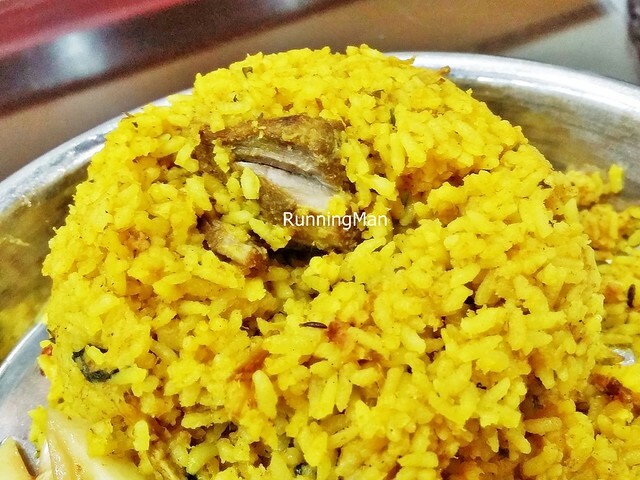 Hospose Khichuri has a dry texture, a prominent savoury taste with some sweetness, and a lingering spicy burn. 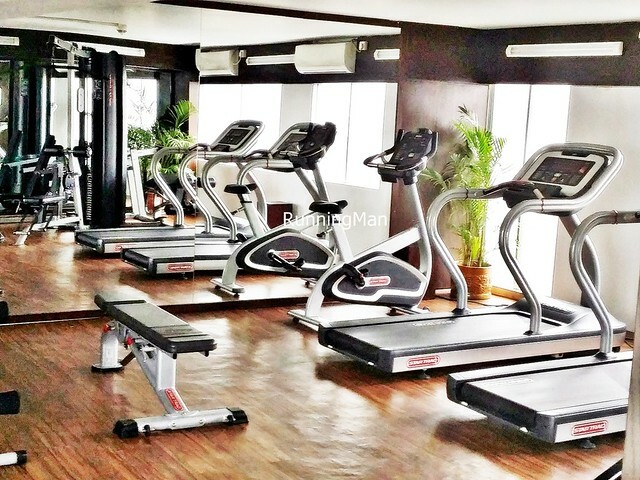 Located about 30 - 60 minutes drive away from the Hazrat Shahjalal International Airport in Dhaka, Long Beach Suites is situated within the affluent Gulshan area. 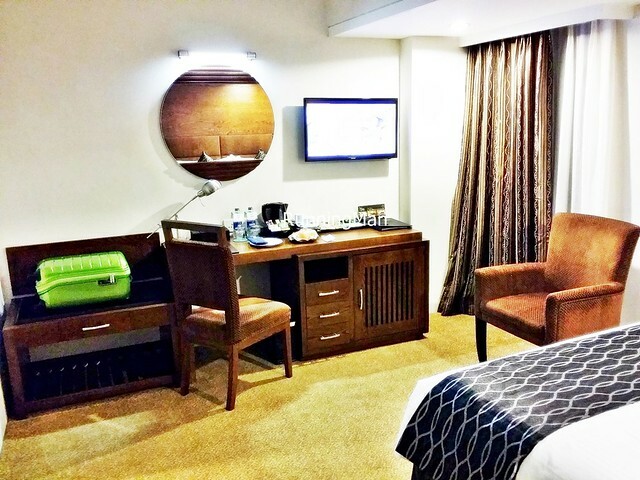 The 5-star Long Beach Suites naturally fits in well here, with its comfortable, classy ambience, and efficient, personalised service. It's also a short driving distance to many nearby attractions and modern conveniences. 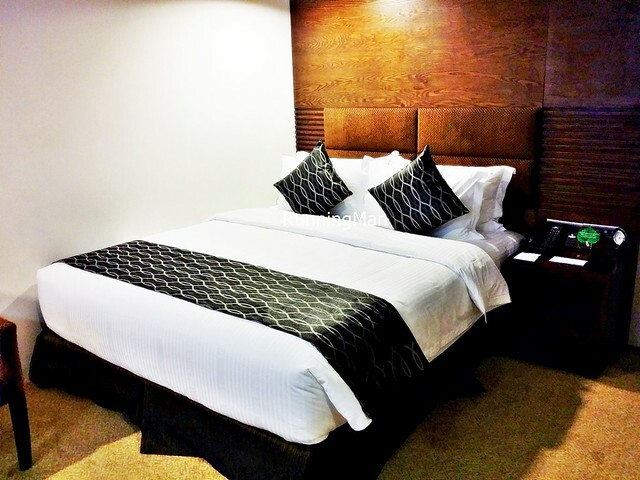 Ambience at Long Beach Suites is modern elegant, with some touches of luxurious class. Black marble walls and bright spotlights greet you at the clean, minimalist lobby, the well polished surfaces gleam softly in the light. Signages to rooms are clear, but the elevator doesn't indicate which floor the facilities are on. 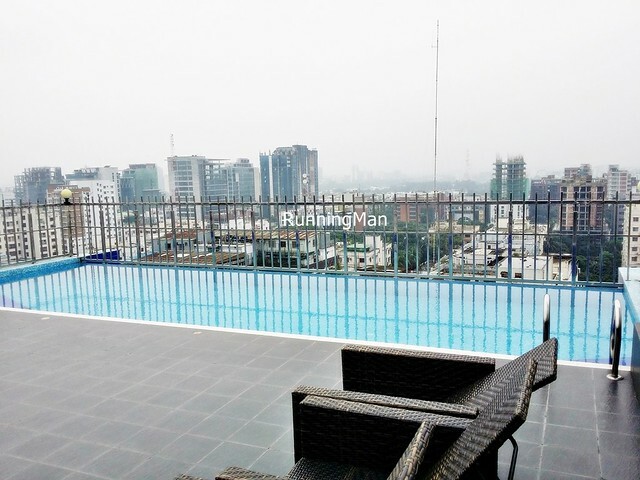 The rooftop offers a fantastic view of the surrounding area. However, the top most level has some slight leaking problems when it rains. Rooms at Long Beach Suites are medium sized, quite decent. 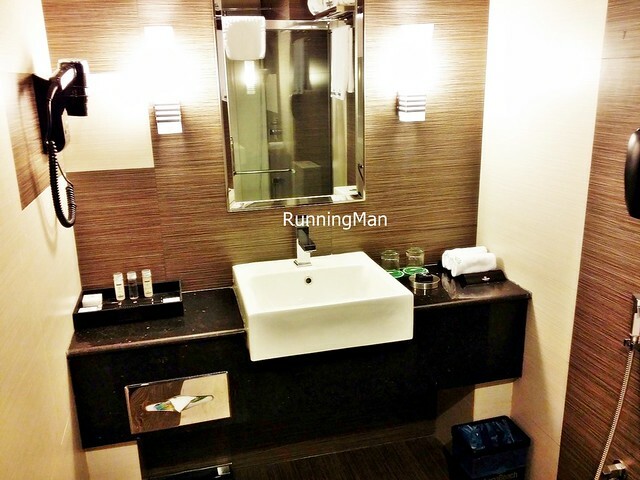 I stayed at the Deluxe Room, which featured a queen size bed, a small working desk and wardrobe, and bathroom with a standing shower and toilet bidet. The room is comfortable and clean, though I hate the old looking fabric of the arm chairs. There isn't much of a view on the 7th floor. The television has cable, with a decent selection of channels. 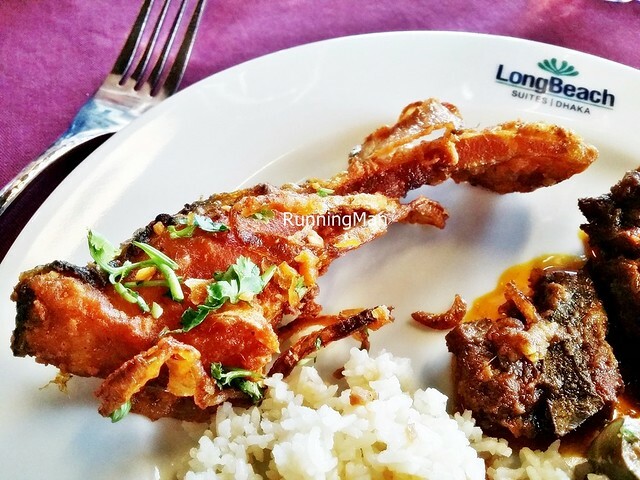 Food at Long Beach Suites is mostly served at the Cozy Sizzler Restaurant, and generally, the cuisine is largely western style, with some local Bengali dishes. I find the Western dishes to be somewhat underwhelming, below average in taste and texture. The Bengali dishes fared much better in taste, and are pretty good. In particular, I find their desserts and pastries to be above average. 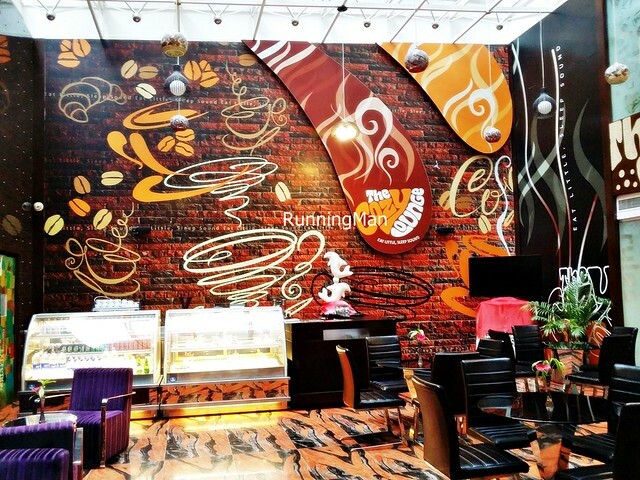 The Cozy Lounge in the lobby is open 24 hours daily, and serves decent pastries, cakes, desserts, and drinks. Service at Long Beach Suites befits a classy 5-star hotel. 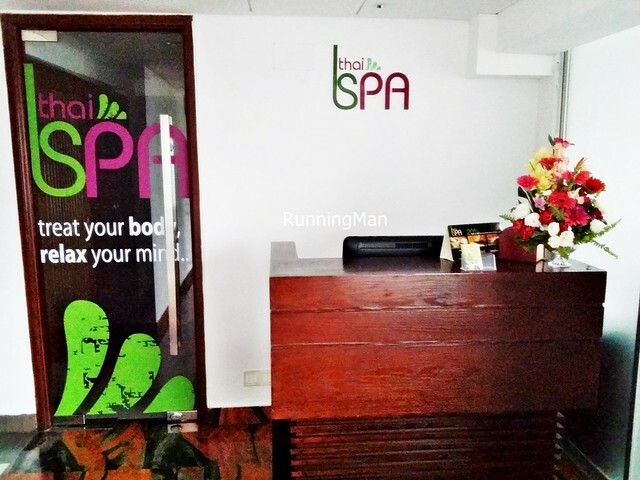 Staff are friendly, polite, efficient, and attentive. Requests are met promptly. 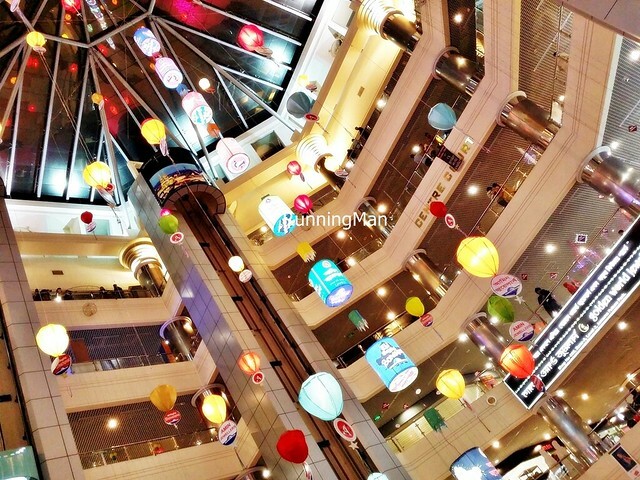 Staff can even recommend nearby shopping, dining, or attraction options, and will provide you with a list! During the conference we had here, I found staff helpful in setting up the audio / visual equipment, and they even stood by in case we needed further assistance. I appreciate that they also asked for feedback later. 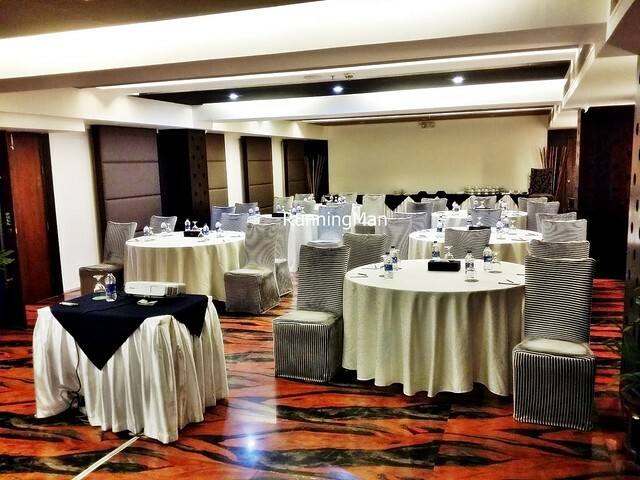 As a primarily business hotel, the facilities and activities at Long Beach Suites are catered to executives. These include a basic gymnasium, swimming pool, business centre, and a spa. 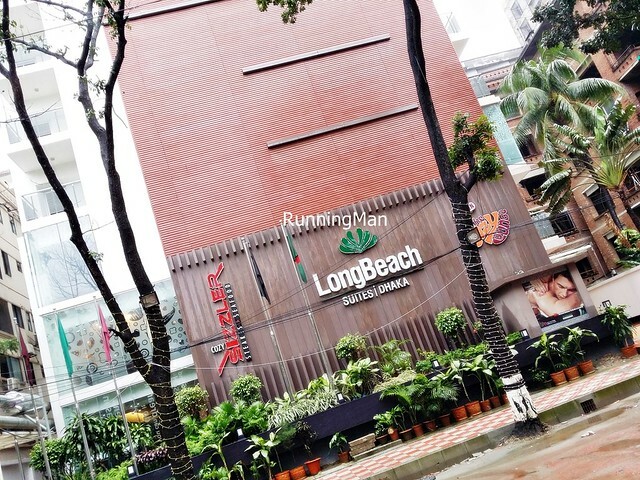 As Long Beach Suites is located relatively near several shopping malls and attractions, commuting to these places is convenient. 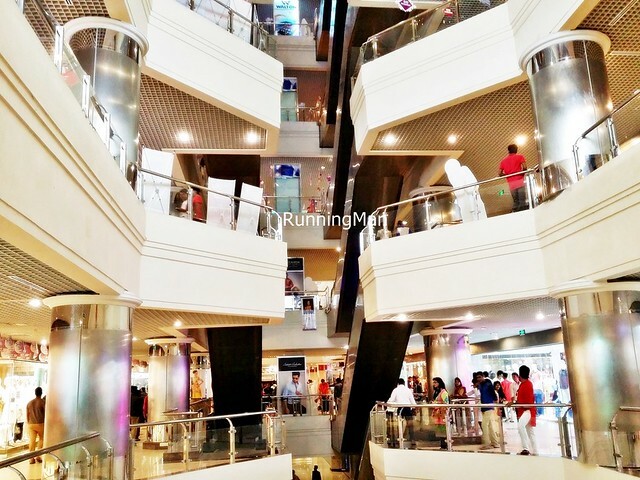 Some examples of the shops in Dhaka, whether along the streets or within the shopping malls. 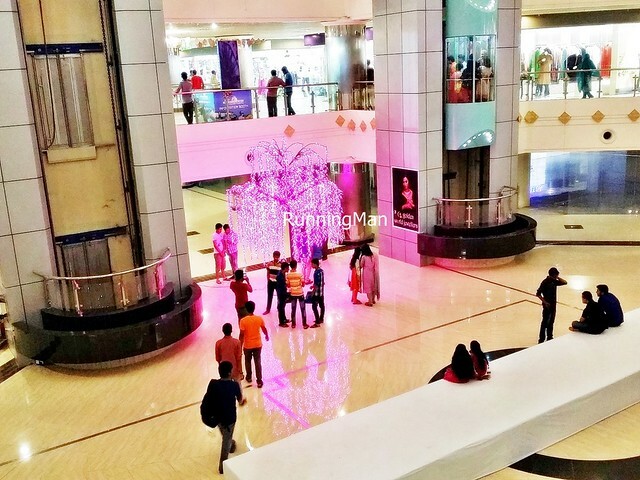 Snapshots of some of the shopping malls and markets in Dhaka. 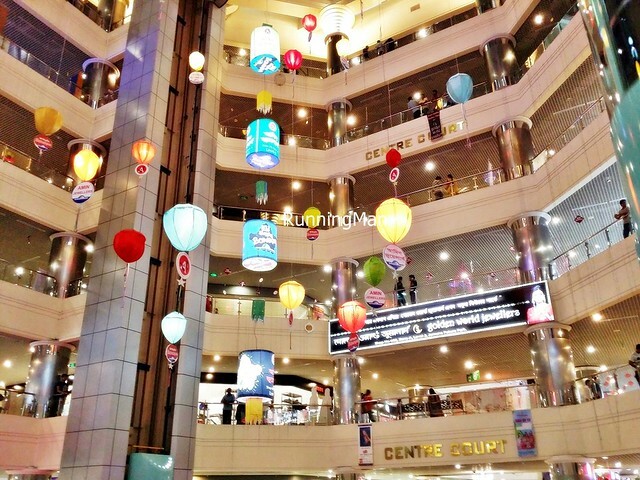 Spent about SGD $13 / MYR $40 per person. 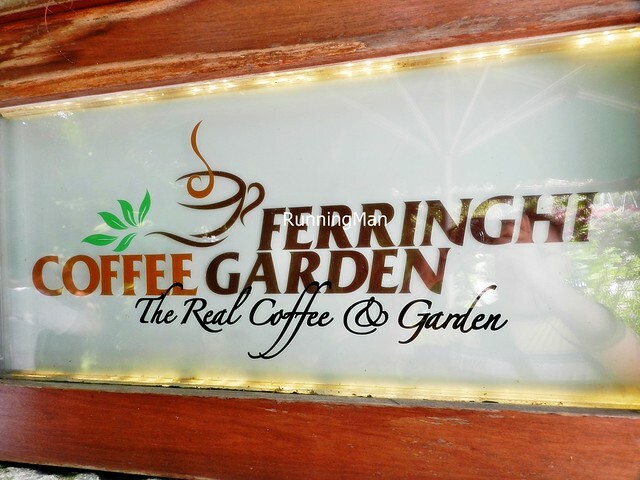 Ferringhi Coffee Garden is operated by the owners of the equally famous Ferringhi Garden Restaurant, which is located just next door. 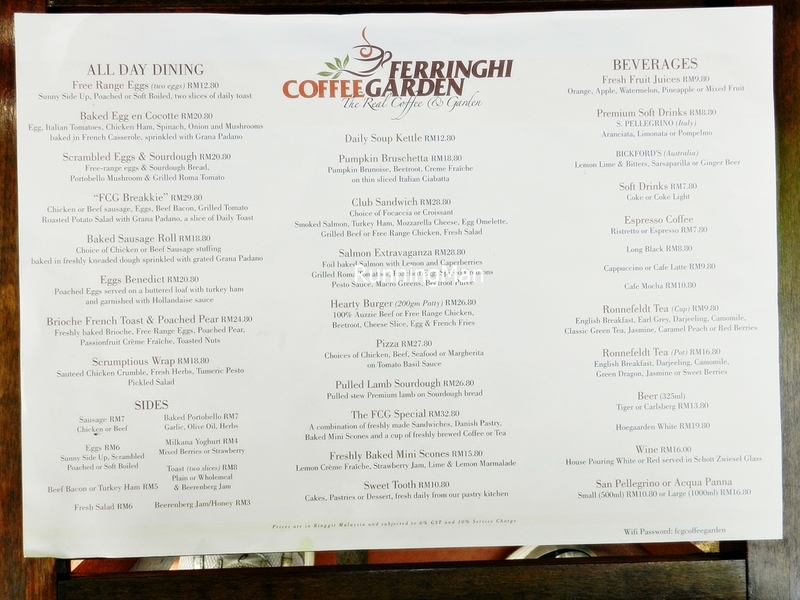 With a similar lush natural charm, Ferringhi Coffee Garden is a daytime (breakfast & lunch) concept, in contrast to Ferringhi Garden Restaurant, which is a nighttime (lunch & dinner) concept. 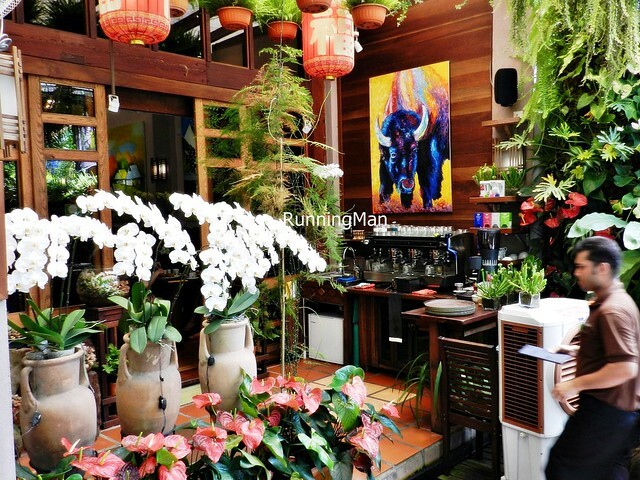 Ambience at Ferringhi Coffee Garden is highlighted by ample greenery (including a green wall of plants! 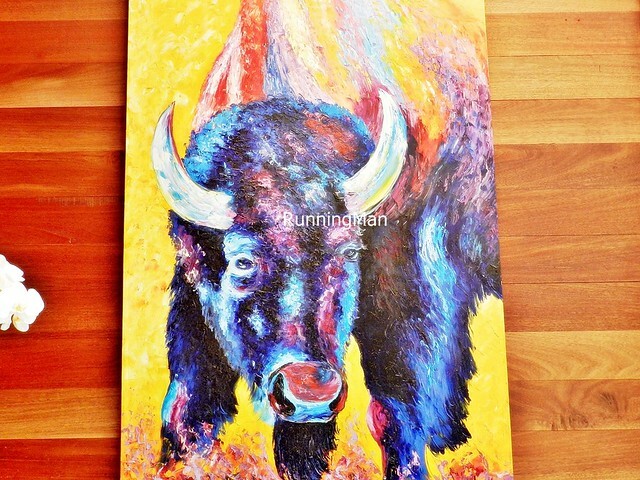 ), colourful art pieces produced by local Malaysian artists, and sturdy wooden furniture. 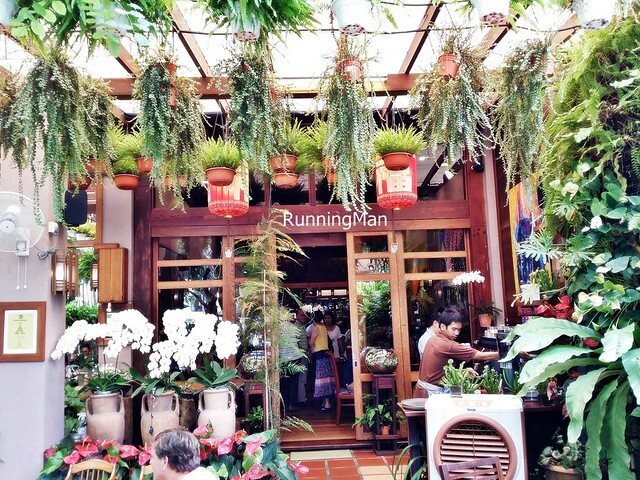 The large outdoor / al-fresco seating area feels like a cozy garden, incredibly beautiful. Feels like a European style countryside. 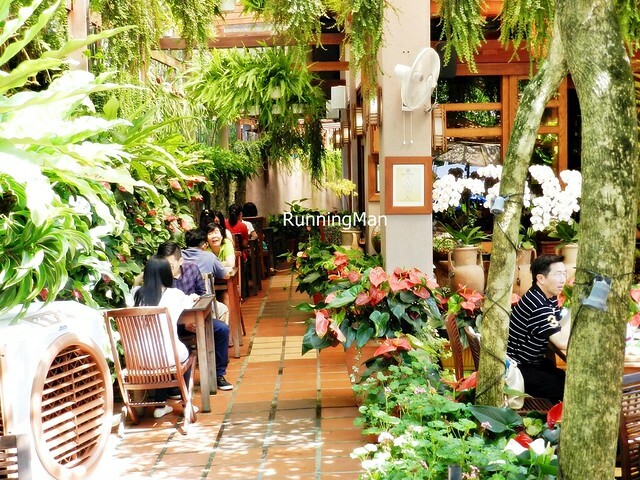 This however, means that indoor seating is limited, and both warm and wet weather will affect the place. 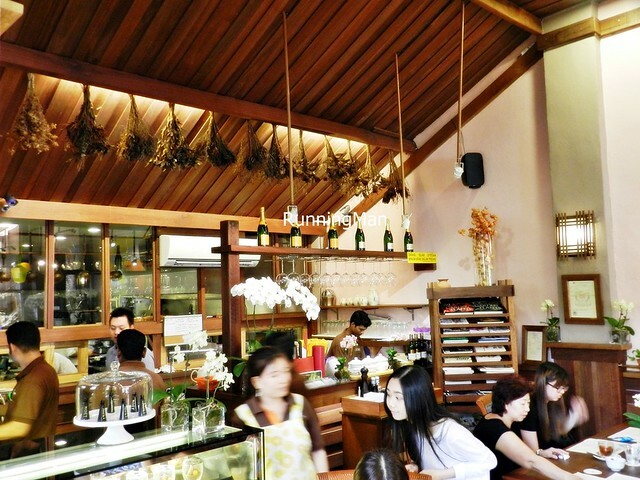 Service at Ferringhi Coffee Garden is pretty good for a bistro. 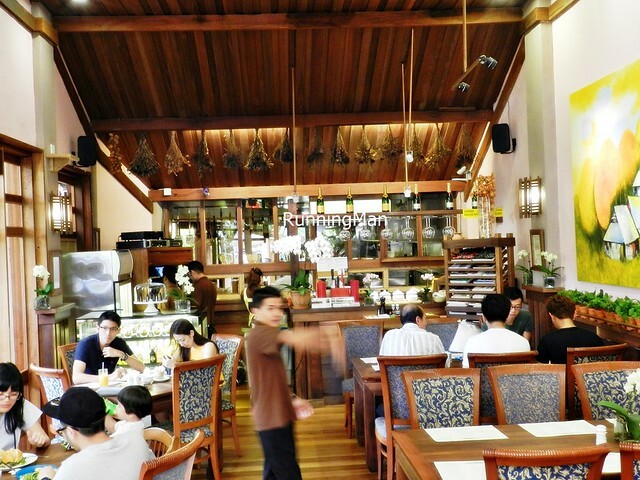 Staff are friendly, polite, and professional, able to converse in English, and show due attention to diners. Not the fastest or most efficient service I've experienced, style is more casual and laid-back. I find staff rather knowledgable, able to describe dishes when asked, and also presenting dishes in appropriate order. 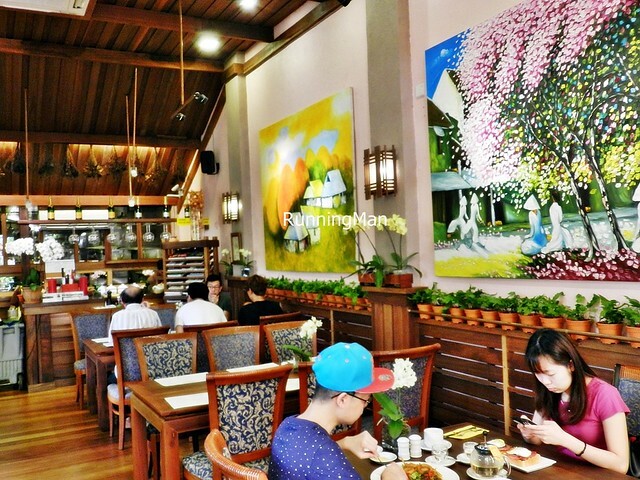 Food at Ferringhi Coffee Garden is distinctly Western style, with strong American and British influences. 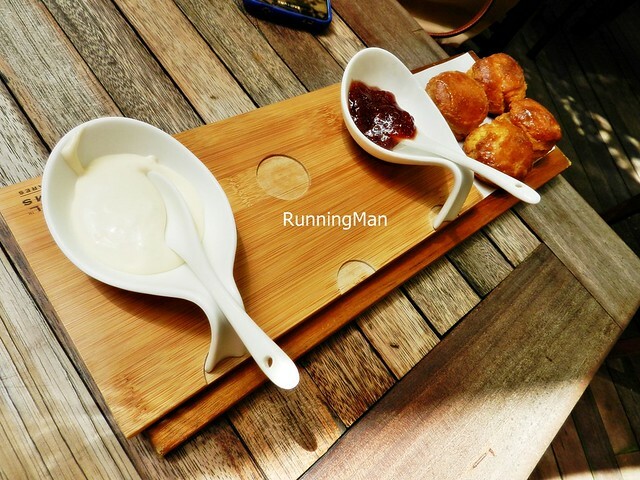 The menu features all-day breakfast / brunch, alongside high tea items, and portions are large. I generally find taste of dishes to be above average for this type of food, but their presentation is very good, plated beautifully. Especially so for their pastries, which are pretty! 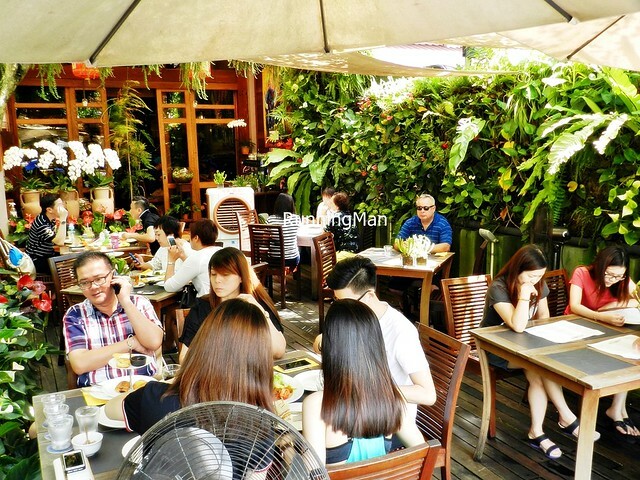 Prices are decent for a bistro, budget about MYR $40 per person for a meal here. Like an oasis near the beach, the lush greenery within the premises is relaxing, and the thoughfully designed space lends well to intimate gatherings. Very European countryside feel. 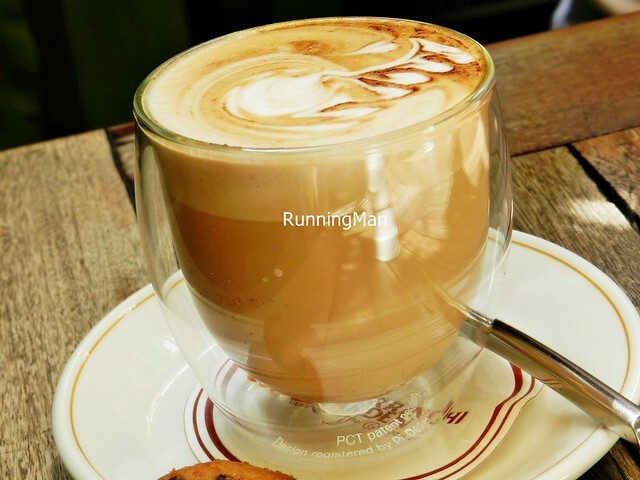 A decent Cafe Latte (MYR $9.80). Pretty looking modern glass it's served in. 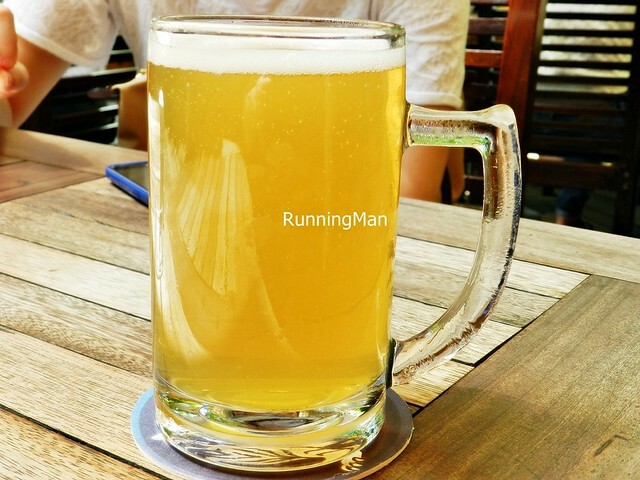 There is a small selection beer and wine available on the menu, such as this Beer Hoegaarden (MYR $19.80), despite being a breakfast and lunch place. Who says you can't have beer for breakfast? 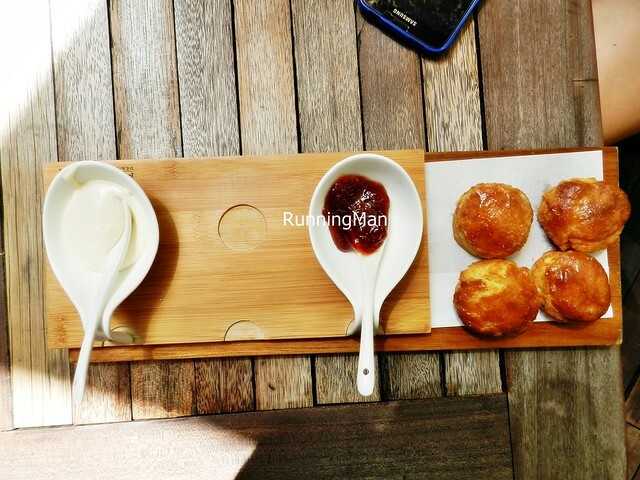 Loved the Freshly Baked Mini Scones With Lemon Creme Fraiche, Strawberry Jam (MYR $15.80), made fresh daily. 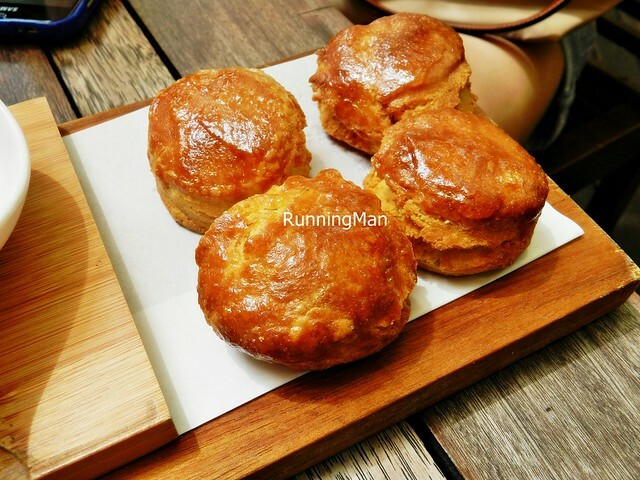 The small scones are crumbly, with a nice cake-like texture, and are fragrant with a good buttery flavour. It's supposed to be served with a Lime & Lemon Marmalade on the side, but it seems to have run out during my visit. Still, the strawberry jam was decent, and the lemon creme fraiche had a slight zesty tang to it.